Nursing, it has been said, is more a calling than a profession. The work is not for everyone, and in fact, it’s not for most people. But for those whose capacity for both caring and the deep knowledge required for the job, there are several paths from which to choose. For some, there is some confusion as to the different types of nurses working in the field, each one requiring varying levels of education and licensure. Understanding the difference is a first step to evaluating the career options available for those who believe they have that special calling. To spare a good deal of misunderstanding, know that the type of academic nursing degree someone has does not automatically equate to one certain type of nursing license. There are several types of nursing degrees ranging from an associate degree all the way to doctoral degrees for different types of practices. Here are two types of academic degrees held in the nursing profession. The first level of post-secondary (after high school), degree for nursing is the ASN. These degrees are most often offered by community colleges and require roughly two years of study in the basic workings and makeup of the human body and its systems, medicines and the control of infectious pathogens. A four year degree granted by a college or university, the BSN covers in greater depth the subject areas taught in an ASN program. In addition the degree prepares nursing students for functions beyond the direct care of patients, such as leadership, research and administrative roles. Each state establishes its own nursing standards and grants nursing licenses based upon the successful attainment of those standards. All states rely on results from a nationally normed assessment. Each type of license permits the practice of certain activities within the scope of that state’s standards for each license. An LPN, *also known as an LVN (Licensed Vocational Nurse) in California and Texas, provides direct care for patients, such as administering most pill medications. They also provide supervision for nursing assistants (NA) and orderlies. They must work under the supervision of an RN or a doctor. 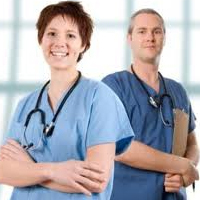 To receive this license, candidates must pass one of two national examinations for nursing. Most states require LPNs to hold at least a high school diploma to receive this credential. An RN provides direct care for patients, including the administration of all medications—including intravenous push meds. He or she also supervises LPNs, and provides education for patients, families, schools and even entire communities. Each state establishes the scope of what practices RNs may perform. To receive this credential, candidates must complete a nursing program from a college or university and pass a national nursing examination. The minimum education required to test for the RN designation is an associate degree, ASN. Both nursing credentials discussed above require the passing of a national examination, the National Council Licensure Examination, NCLEX . There are two types of exams. The NCLEX-RN requires the completion of an ASN degree. Many LPNs, for a variety of reasons, continue to advance their careers by obtaining more education and an advanced license. To earn an ASN, you must enroll in and complete a nursing program at an accredited university or community college. Your options then grow to include testing for the RN credential, and from there, many registered nurses continue their studies by completing an RN to BSN degree program, often subsidized by the nursing facility at which they work. Knowing the combination of degrees and licenses can help you choose how to advance along a career path in the respected field of nursing.